Cake, is not something that we need to have in our lives. Yet how much poorer would life be without the occasional slice? Almost all celebrations have a cake at their centre; Weddings, birthdays, anniversaries and more. Sunday is a celebration of a day of rest for most people. Although many still have to work and where would we be without our NHS, emergency services, care givers, transport providers etc? Baking is a form of relaxation for me. So on a Sunday, if I’m able, I like to bake. 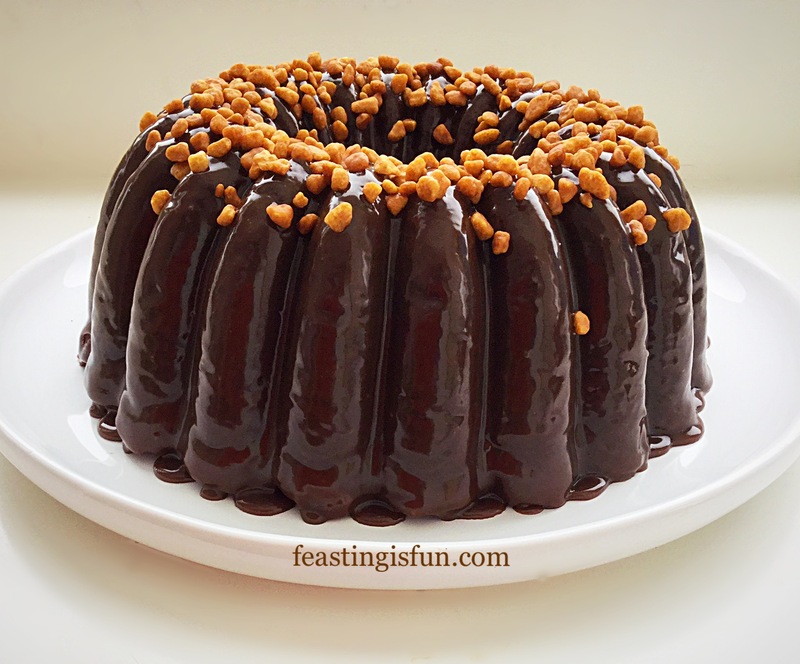 Here I share my Caramel Crunch Topped Chocolate Bundt Cake. 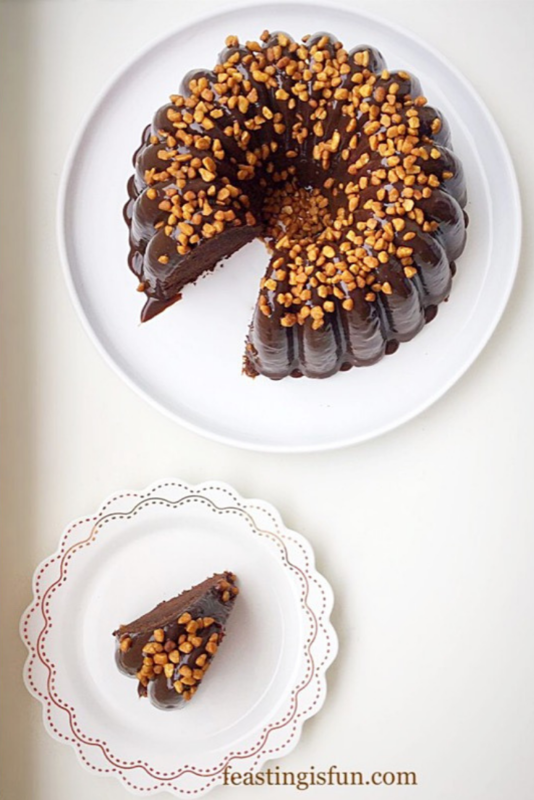 Recently I read a comment from a fellow Food Blogger, stating that their chocolate cakes always seemed dry. While I’ve never had that problem, in this cake there is absolute zero chance of it becoming dry. Since adding buttermilk to the cake batter ensures a beautifully moist cake, that keeps it’s moistness over the following days. Contrasting well with the crunchy caramel topping and silky icing. Having made this chocolate fudge icing a number of times, it really is a marvel on one’s tastebuds. 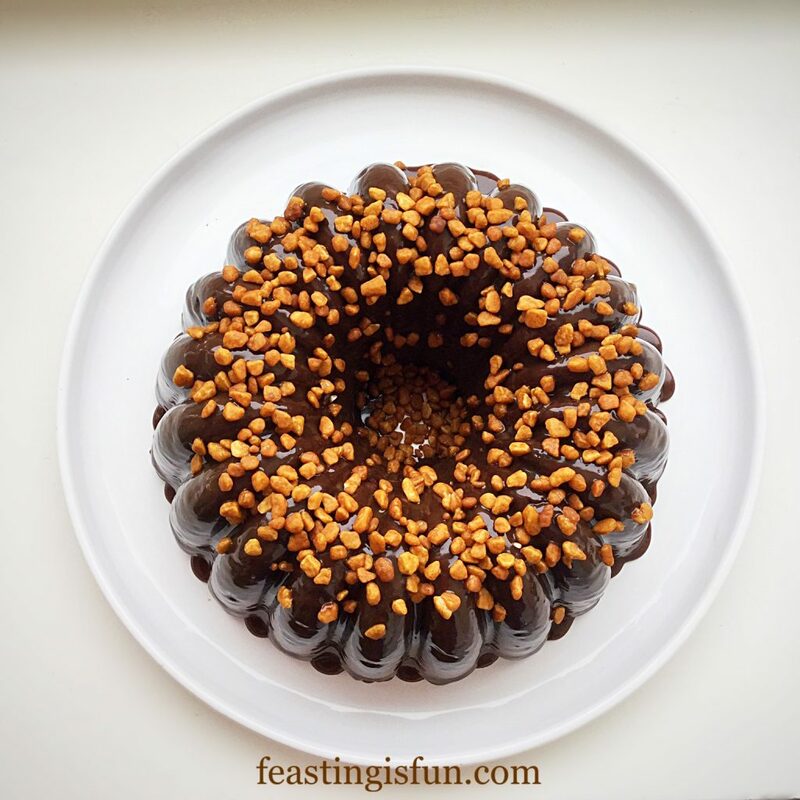 Essentially a chocolate ganache into which Rolos are melted, it pours easily, coating an entire cake in a few minutes. 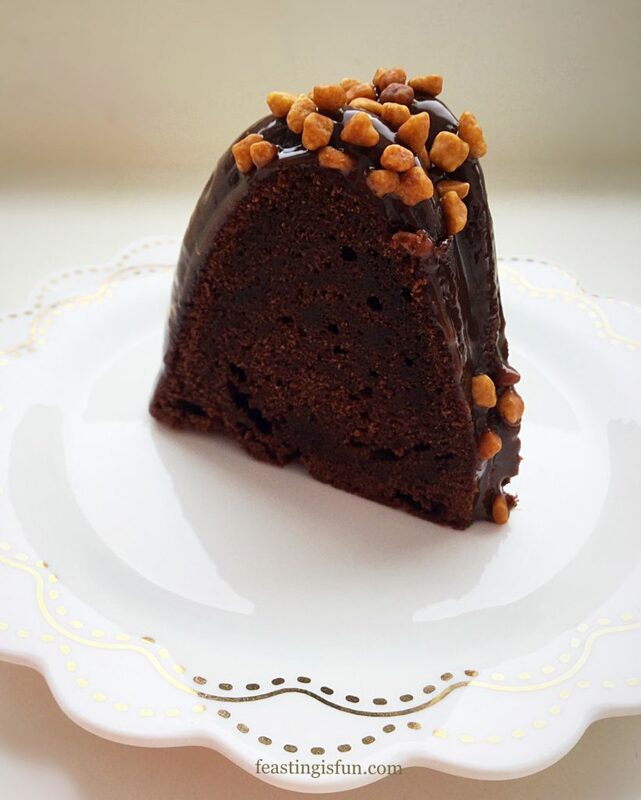 While more icing than is needed is made to cover this cake, the remaining dripped chocolate icing can be scooped into a container for later use, ensuring minimal waste. 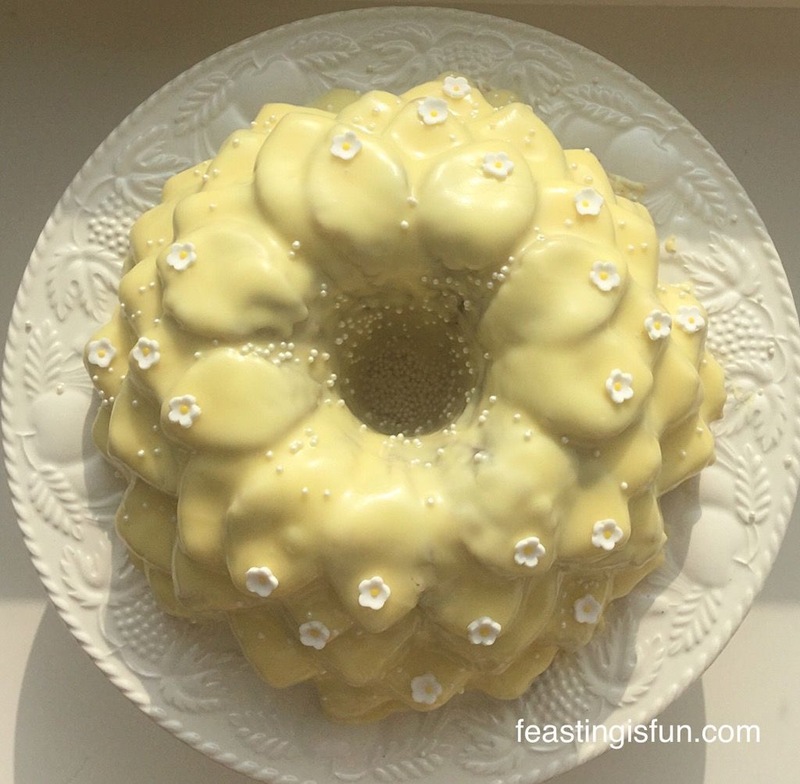 As with all Bundt cakes, they are a novice cake decorator’s dream. 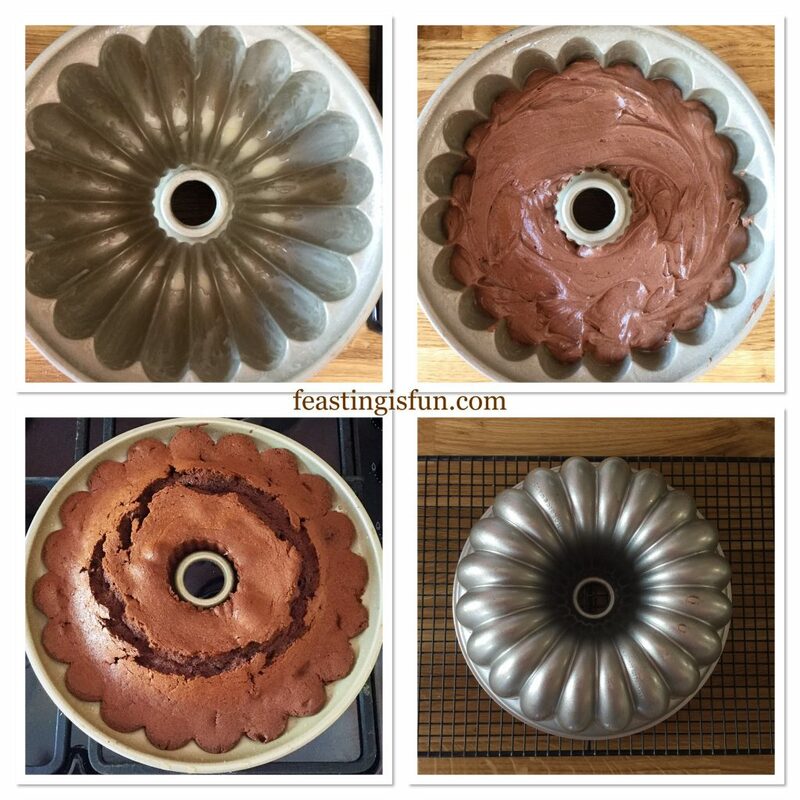 Since each Bundt pan is intricately designed. The result is a stunning cake when baked and turned out. 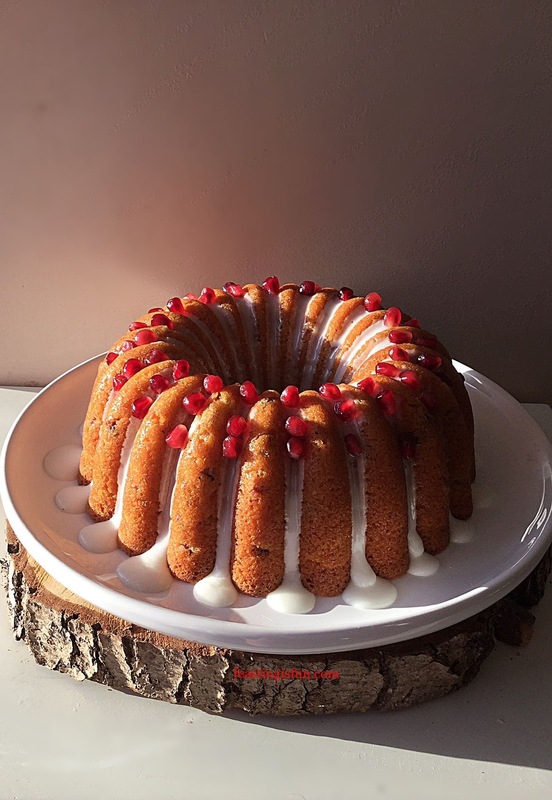 While the best Bundt pans made by Nordicware, may not be cheap, in terms of value for money they deliver every single time. The majority of my Bundt pans have been bought for me as Christmas or birthday presents. 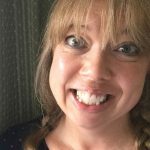 1 tub Salted Caramel Crunch by Dr Oetker (alternatively use crumbled honeycomb such as a Crunchie bar with a sparse pinch of sea salt added to tame the sweetness) – Note – while sold as salted caramel crunch I was unable to taste any salt. 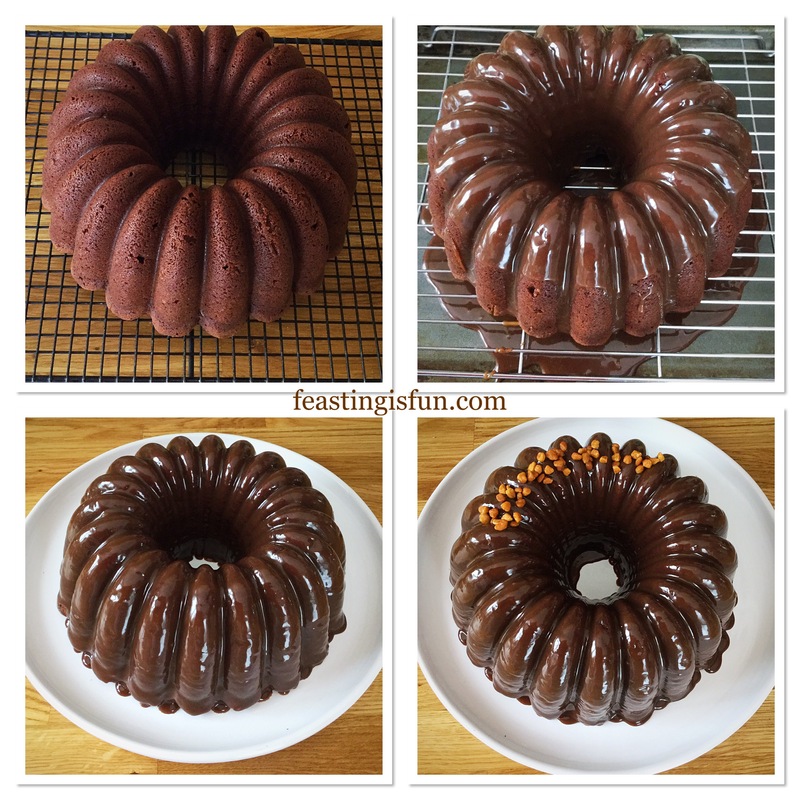 A 10 Cup Bundt Pan is needed for this cake. The Elegant Party Bundt Pan has been used here. Also it is strongly recommended that Wilton cake release spray be used to ensure the baked cake releases easily from the pan. First of all prepare the Bundt pan. Spray or brush cake release on to the inside of the pan. Use a pastry brush to ensure every part of the pan’s inside is completely covered. Set to one side. In a large jug weigh the buttermilk and then add the eggs and vanilla extract. Whisk lightly with a fork to combine – liquid ingredients. Next in a separate large bowl add the butter, sugar and salt. Whisk the ingredients together until pale and creamy. Tip the liquid ingredients into the creamed butter bowl. Sieve the flour, baking powder and cocoa powder into the same bowl. 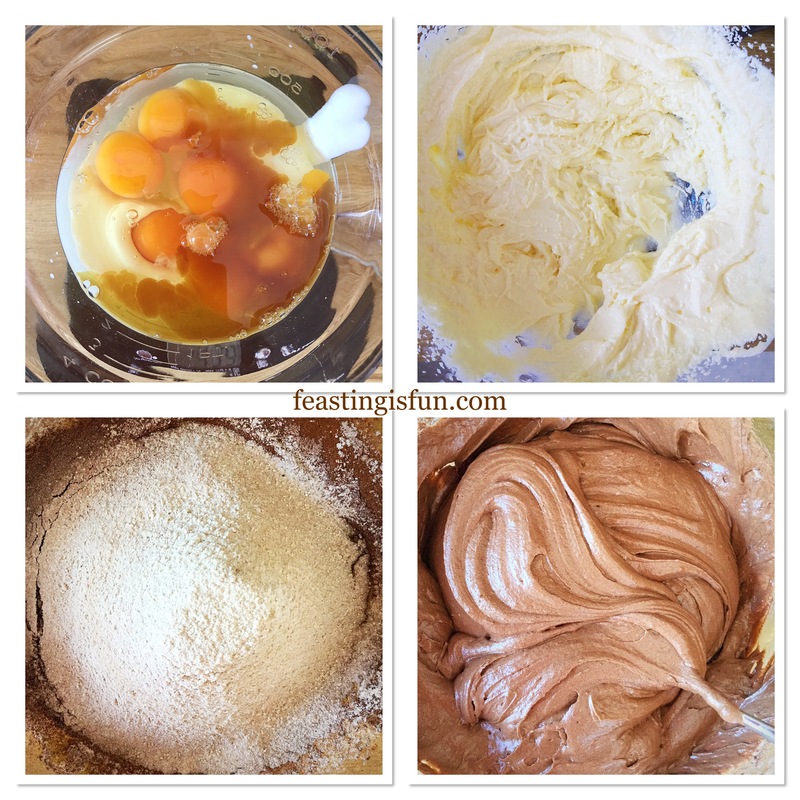 Mix all of the ingredients together using a spoon until they are just combined. Since over mixing can lead to a tough cake crumb once baked. 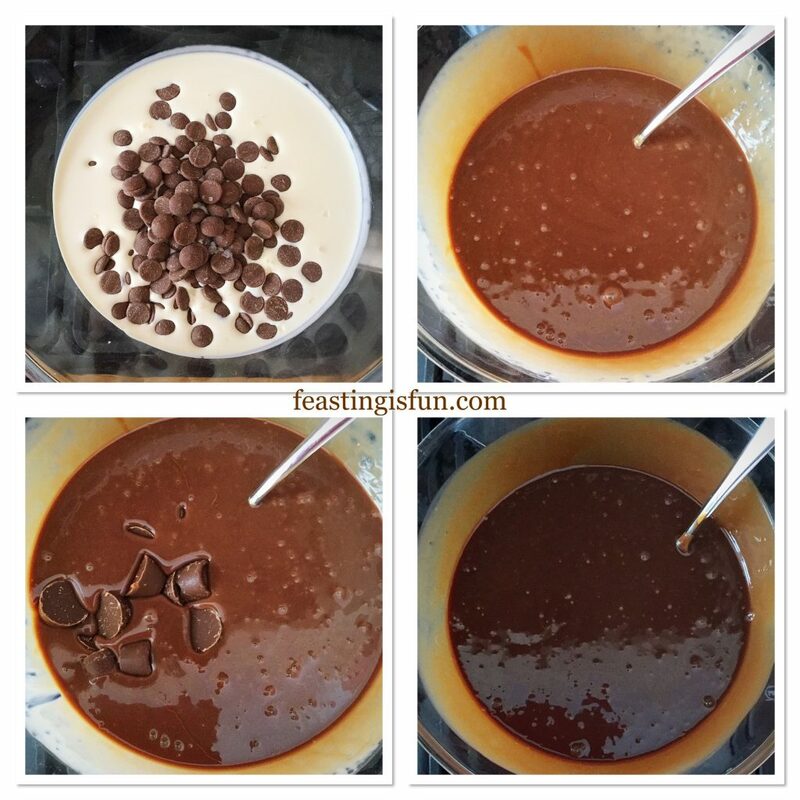 Creating the moist chocolate cake batter. 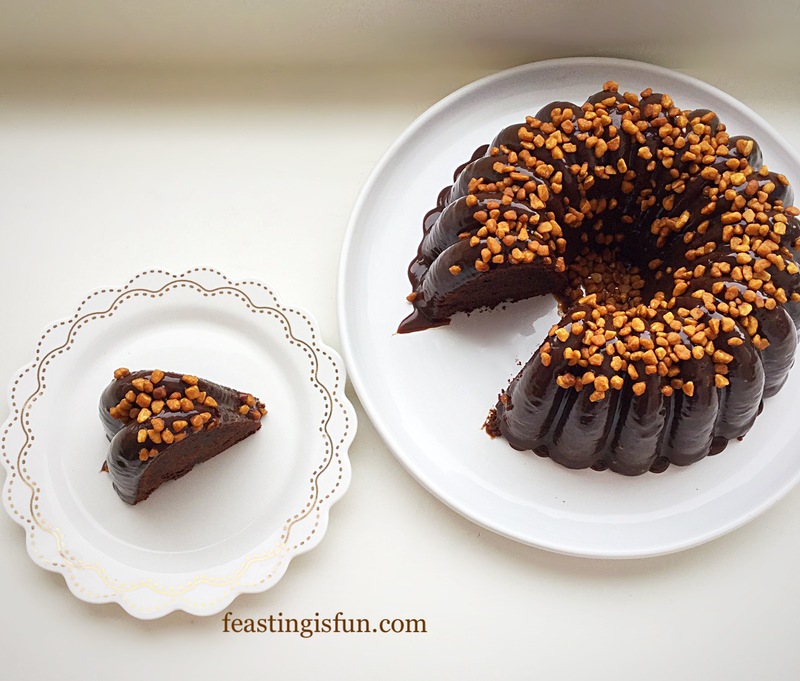 Spoon the chocolate cake batter into the prepared bundt pan, pressing the batter into the pan. Ensure the Pan is evenly filled. Smooth the top. 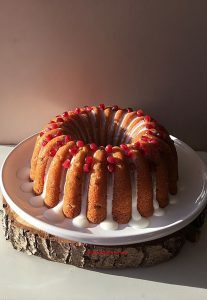 Note – the Bundt pan should not be more than two thirds full. Place the cake into the centre of a preheated oven and bake for 1 hour and 15 minutes. The cake is fully baked when it is firm to touch and shrinking away from the sides and centre. Also an inserted skewer will come out clean. As soon as the cake is baked remove from the oven and allow to cool in the pan for 10 minutes. After the cooling time has elapsed turn the cake out on to a cooling rack. To make the chocolate fudge icing: First of all place a heatproof bowl over a saucepan of barely simmering water, making sure the base of the bowl does not touch the water. Add the cream, chocolate and salt. Stir until the chocolate is melted and combined with the cream. Next add the Rolos and stir continuously until melted into the chocolate. Making the chocolate fudge icing to glaze the cake. Place the cooled cake on to a rack over a clean baking tray. While the chocolate icing is still warm spoon evenly over the cake. 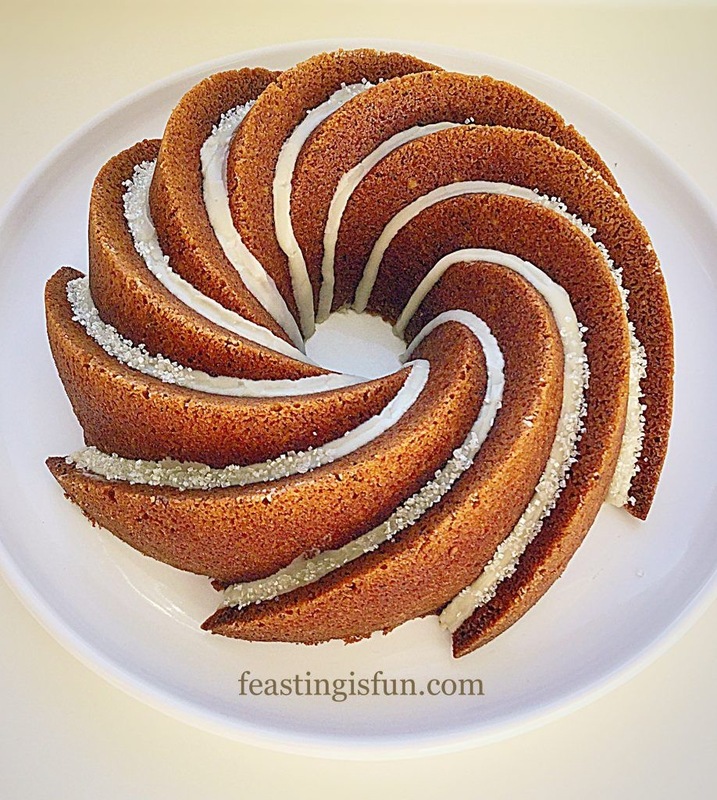 Start at the top, work in a circular motion around the cake until it is completely covered. As soon as the icing has stopped dripping move the cake to a plate or board. 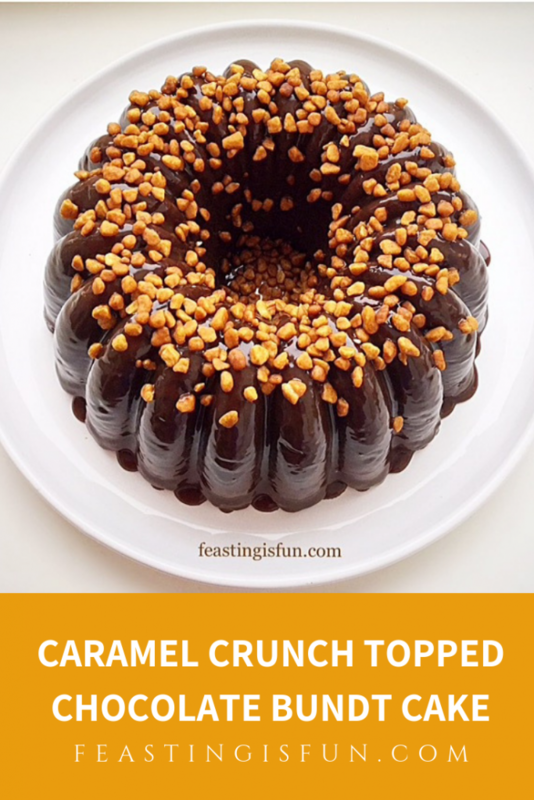 Sprinkle caramel crunch pieces on to the top of the cake before the icing sets. Glazing and decorating the cake. Leave the icing to set for 30 minutes prior to serving. Note – spoon the chocolate fudge icing, that dropped through to the baking tray, into a bowl, cover and keep in the fridge for up to one week. Warm and use poured over ice cream, or spread cold on to cupcakes. 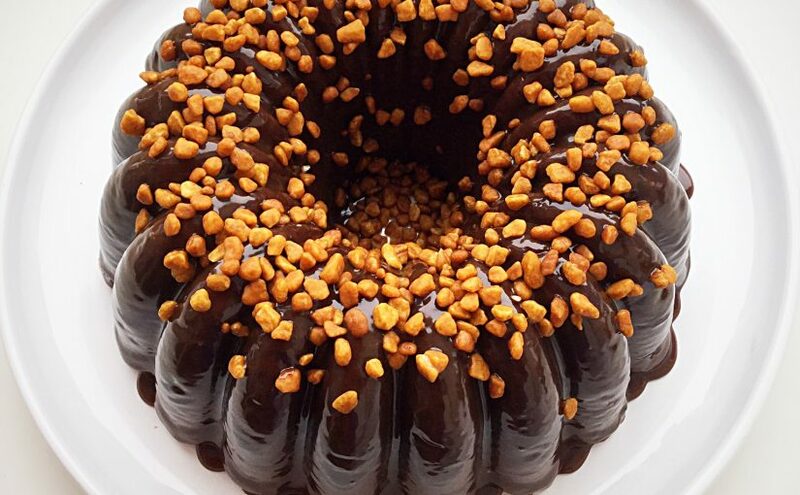 Decadent, moist, rich chocolate cake, slathered in a shiny glaze and topped with complimenting caramel crunch. Serve sliced and accompanied with a refreshing cup of tea and good company. Make the cake a day ahead and store in an airtight container. Once iced store any leftover cake in an airtight container for up to 4 days. Refrigerate during warmer weather. It is said that we eat with our eyes, before anything has even touched our lips. If so, this glossy cake topped with golden nuggets definitely has my mouth drooling. Even more so, it grabbed my family’s attention straight away. Also it disappeared rather too quickly. Resulting in me setting a ban on the last slice, so that I could test it’s longevity! What a gorgeous, shiny glaze! That combined with the shape make a very tempting looking cake. I keep meaning to try more cake recipes which use buttermilk as it makes such a beautifully soft, moist cake. I did decide to add an extra touch of cuteness by creating some hot air balloons made out of marshmallows, chocolate, sprinkles, noodles, and Rolos. Wow that sounds incredible. Thank you for your comment.